1) "Optical alignment and patterning of nanoscale microdomains in a block copolymer thin film", Advanced Materials, 18(7), 883-886 (2006). 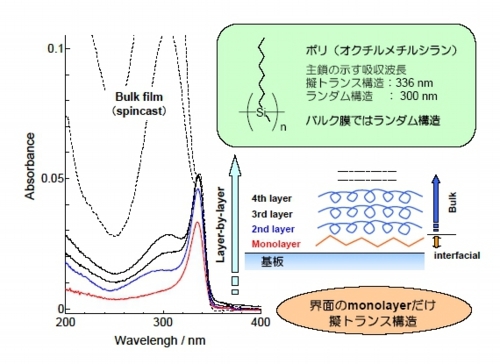 2) "3D Photoalignment and Patterning of Microphase Separated Nanostructure in Polystyrene-Based Block Copolymer", Chemistry of Materials, 19(7), 1540-1542 (2007). 1) "Surface Relief Gratings in Host-guest Supramolecular Materials", Adv. Mater., 12, 1675-1678 (2000). 2) "Soft Crosslinkable Azo Polymer for Rapid Surface Relief Formation and Persistent Fixation", Advanced Materials, 1963-1967 (2001). 3) "Uncoventional Polarization Characterisitic of Rapid Photoinduced Material Motion in Liquid rystalline Azobenzene Polymer Films", Appl. Phys. Lett., 83, 4960-1678 (2002). 4) "Phototactic Transport Motions of Polymer Film for Micropatterning and Alignment of Functional Materials", Advanced Materials, 16 (3), 220-223 (2004). 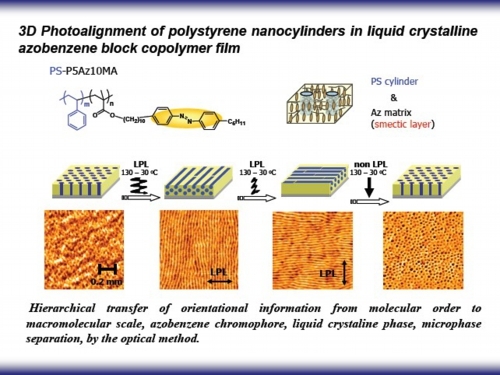 5) "Photo-triggered Surface Relief Gratings in Supramolecular Liquid Crystalline Polymer System with Detachable Azobenzene unit", Adv. Mater., 20(3), 516-531 (2008). 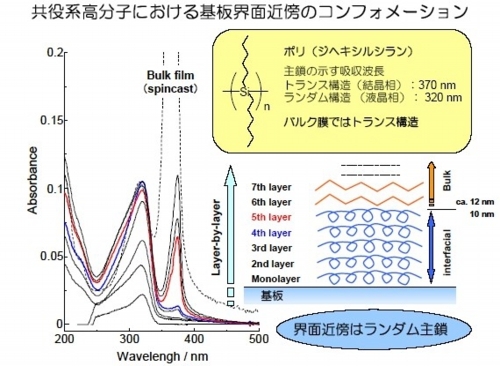 6) "Highly Photosensitive Surface Relief Gratings Formation in a Liquid Crystalline Azobenzene Polymer: New Implications for the Migration Process, Macromolecules", 40(13), 4607-4613 (2007). 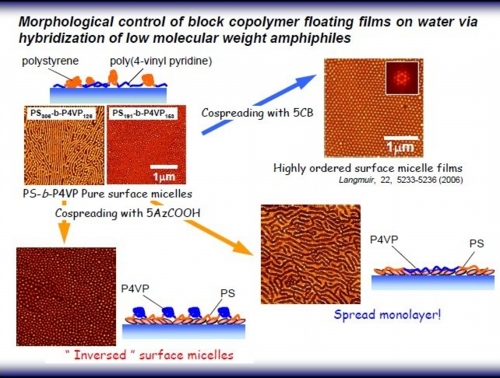 1) "Ideal Spread Monolayers and Multilayers Formation of Fully Hydrophobic Polythiophenes via Liquid Crystal Hybridization on Water", Langmuir, 10498-10504 (2008). 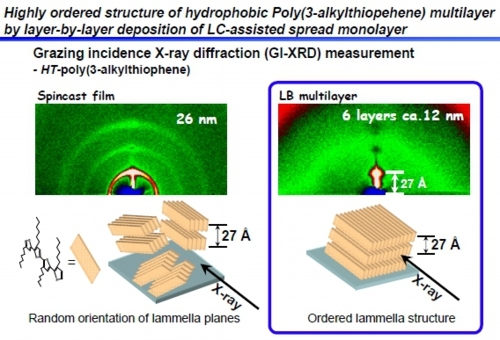 2) "Ideal Spread Monolayer Formation and Surface Presure Induced Orientation in Poly(9,9’-di-n-octylfluorene-alt-benzothiadiazole) via Hybridization with Liquid Crystal Molecule on Water", Synthetic Metals, 159(9), 835-838 (2009). 3) "Abrupt Interfacial Transition of Hydrophobic Polysilanes as Probed via Liquid Crystal-Assisted 4) Stepwise Deposition", J. Am. Chem. Soc., 124, 2074-2075 (2002). Monolayer Formation of Hydrophobic Polysilane on Water through Hybridization with Liquid Crystal Molecule, Langmuir,　17, 2199-2205 (2001). 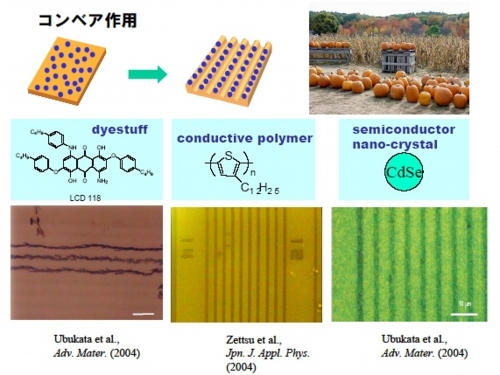 "Formation of a Highly Ordered Dot Array of Surface Micelles of a Block Copolymer via Liquid Crystal-Hybridized Self-Assembly", Langmuir, 22(12), 5233-5236 (2006). 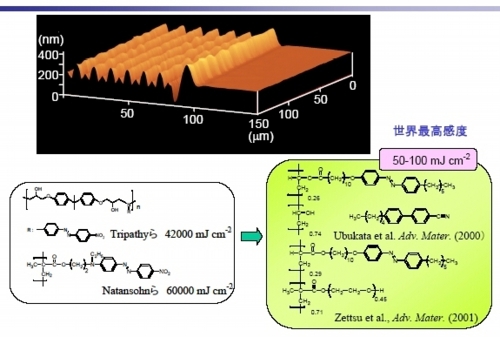 2) "2D Nano-phase Separation Structure of Triblock Copolymer Having Azobenzene Aoiety", Polymer Preprints, Japan, 53(2), 3451(2004). 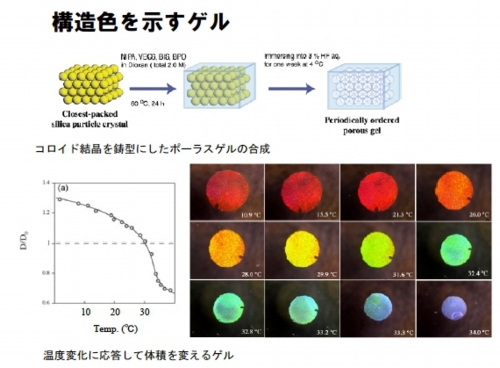 2) "Surface-mediated photoalignment of organic/inorganic nanohybrids", Journal of the Ceramic Society of Japna, 116(3), 361-368 (2008). 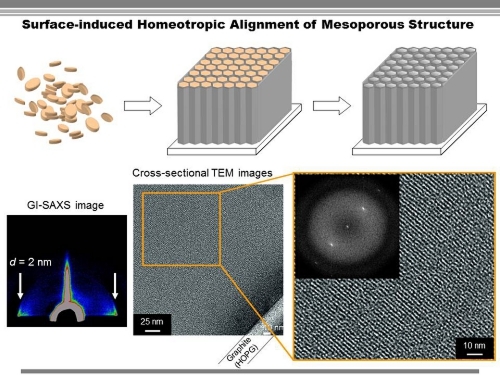 3) "Photo-Alignment Behavior of Mesoporous Silica Thin Films Synthesized on a Photo-Crosslinkable Polymer Film", Chem. Mater., 18(5), 1226-1234 (2006). 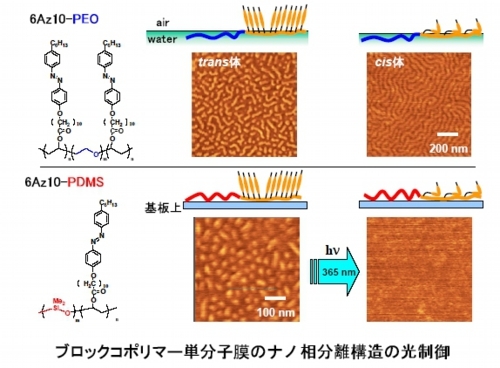 4) "Photo-orientation of mesoporous silica thin films on photocrosslinkable polymer films", Adv. Mater., 17(8), 1035-1039 (2005).